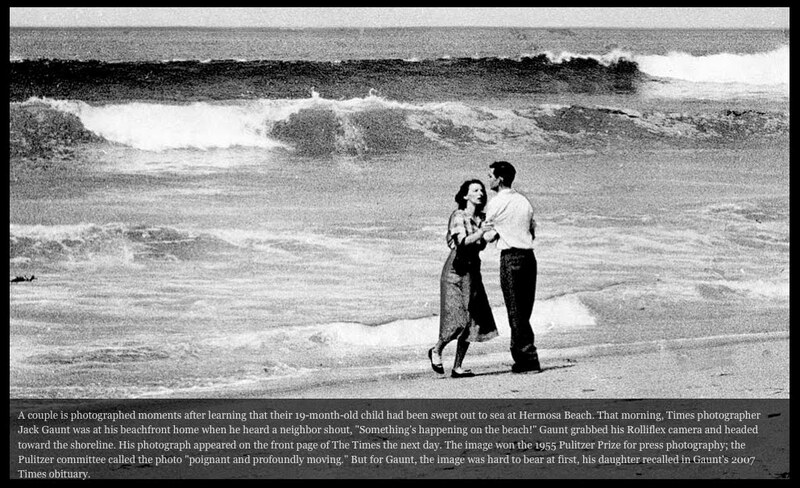 One of the images from a slideshow of 130 years of photographs for the LA Times. Click on it to read the caption. As a photograph it's merely shallow and melodramatic, but as a voyeuristic response to real tragedy it becomes immoral, and fundamentally corrupt. For the longer argument click on the tag below for photojournalism.